In mesothelioma litigation, the question of which court has jurisdiction can be a complex one. Our Boston mesothelioma lawyers know that in most injury or product liability cases, it’s not that difficult because the injury or illness inflicted appears immediately after the exposure in question. Plaintiff attorneys can definitively prove which party caused the damage, where the damage occurred and to what extent. In mesothelioma cases, these questions are complicated by the fact that the injurious exposure happened a long time ago. The typical time elapse from exposure to diagnosis is 30 to 40 years. In the course of those decades, companies move, go out of business, merge with other firms and declare bankruptcy. The other thing that can complicate these matters is that asbestos exposure is rarely a single event. Of course, no amount of exposure is safe and it’s entirely possible that someone who inhaled those fibers just one time could become sickened. However, in most cases, mesothelioma results from exposure that lasted many months or years or was the result of negligence on behalf of multiple companies. So the question of jurisdiction can be a complex one, and sorting through all the facts can be an arduous task – one that should not be trusted to a run-of-the-mill injury lawyer with few resources and even less experience. While in theory all courts are balanced and fair, some procedural differences can vary and ultimately make one court potentially more favorable to either the defense or the plaintiff. As such, it’s very important that you hire a mesothelioma attorney with extensive experience – one who knows which options are most amenable to your circumstances and how to make a successful legal argument in your case. Unfortunately for an out-of-state plaintiff attempting to have his case heard in an Illinois court, that state’s high court has rejected his attempt. 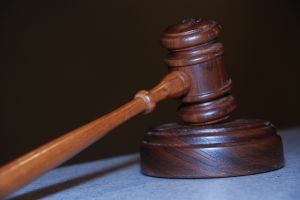 The plaintiff, a Mississippi resident, filed suit in St. Clair County, Illinois back in 2009, alleging asbestos exposure that resulted in respiratory problems stemming from his time working at the Illinois Central Railroad Co. Although the firm was based in Illinois, the exposure reportedly happened in Mississippi. The Illinois Supreme Court ruled that the in balancing all relevant factors, rehearing of the case should occur in the plaintiff’s home state of Mississippi, not Illinois. The court took into consideration the fact that the plaintiff had been party to another complaint in Mississippi three years earlier in which his and 85 other asbestos-related claims were dismissed. It was only after that point that the plaintiff filed suit in Illinois, a point that the court contends makes it clear that he was essentially shopping for a favorable verdict. However, in an impassioned dissent, Justice Charles Freeman wrote that the plaintiff’s choice of forum is entitled to deference, and that the defendant failed to show that any factors would strongly favor a Mississippi forum over an Illinois forum for the case.